The Borneo Post reported on 28 Dec that the recovery for the Malaysia oil and gas (O&G) sector may be in the pipeline next year in view of key potential tie-ups and new marginal oilfields to provide order book replenishment over the next few years. OSK Research Sdn Bhd (OSK Research) in its recent report remarked, “We expect new contract awards, especially for the new marginal oilfields as well as the development of the existing marginal oilfields to start by the second half of 2012 and peak well into 2016. In May 2011, Petroliam Nasional Bhd (Petronas) said it would spend US$20 billion on the Refinery and Petrochemical Integrated Development Project (RAPID) comprising three projects: a crude oil refinery with 300,000 barrels per day capacity, a naphtha cracker with an annual capacity of three million tonnes, as well as petrochemical and polymer facilities in Pengerang, Johore. Petronas also currently in talks with several global oil majors to develop the RAPID facilities with construction expected to be completed by 2016; this would give rise to job opportunities for the industry from 2012 onwards, OSK Research opined. Petronas might also consider constructing a liquefied natural gas (LNG) import and re-gasification terminal in this area to meet the energy needs of the three projects and diversify the source of gas supply to meet existing and future demand. 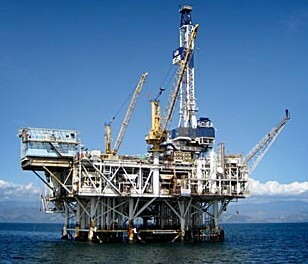 “For the remainder of first half of 2012, Petronas would probably decide on its strategic partner. A strategic partner should possess the knowhow required by the project besides being able to fund part of the investment, and finalise the portion of the US$20 billion investment cost that it would bear together with its strategic partners based on their equity partnership in the facilities. “This is because once the potential partners and their contributions to the total investment cost have been finalised, we should see this spin off several engineering, procurement, construction and commissioning (EPCC) contracts. “Nonetheless, we think that there would still be a small portion left for local O&G EPCC contractors since the RAPID project aims to create job opportunities as well as other supporting industries in Malaysia. “By 2016, we believe the utilisation rate of most O&G support services providers would peak at around 90 per cent compared with the average 50 per cent borderline level presently. “It is in our view that there would be a re-rating on the sector starting from second half of 2012,” the research house stated.